This is the year I’m doing it, I’m making a twin-size Christmas quilt for the living room. It’s always been on my list, I’ve never actually done it. 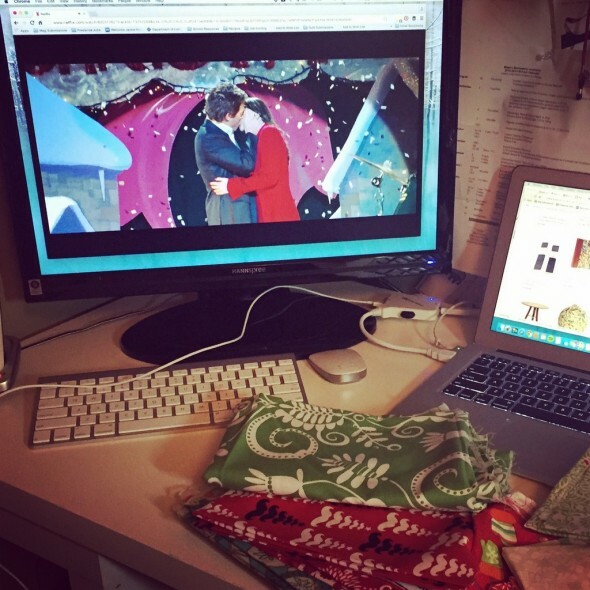 I fired up Love Actually on my laptop and combed through all the holiday prints I’ve been hoarding for years now. I decided to go with simple blocks, white sashing, and gray cornerstone pieces. The layout took some tweaking because I tend to chain piece first and figure out how it all works together later. Sometimes this means I end up with a lot of the same color in the same position. But I think I’m getting it worked out. H helped me pick the backing fabric on a recent trip to Fabric Inspirations, which isn’t far from her PT. Hopefully I’ll get a little more done on this one over the weekend. If I can finish it by Thanksgiving, even better. 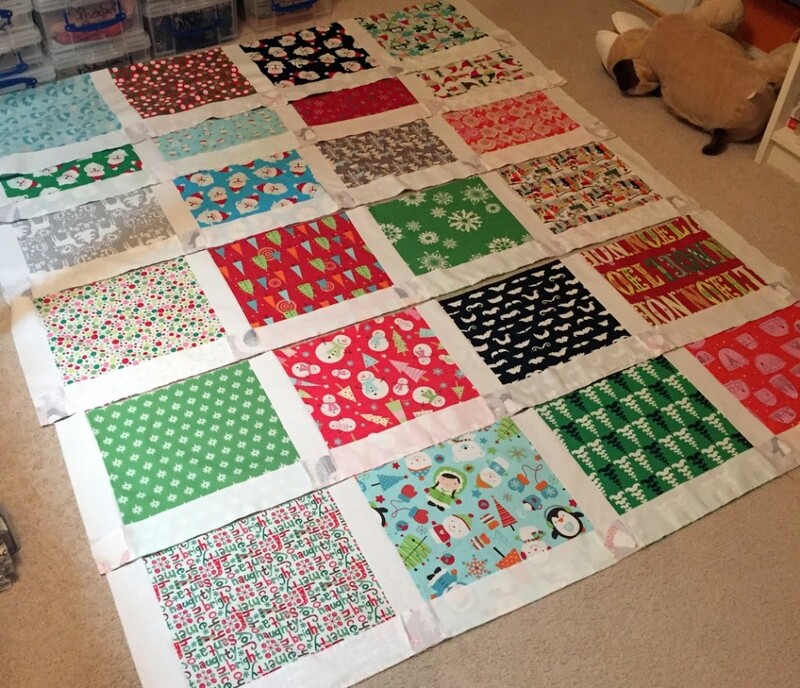 The Tree Skirt Is Finished!